We updated our best buy steam irons survey to make sense of the huge choice in irons available in the UK 2017. There are dozens of iron models from under a tenner to so-called super irons that cost an eye-watering £80 or more. We decided to ask the people who really know: owners who have used their steam irons for six weeks or more. So far, we’ve surveyed more than two thousand four hundred people. With their help we’ve been able to compile the best buy steam irons survey 2016. Our recommendations are based on what owners and users tell us. These 9 irons are highly rated by their users, but cost around £40. 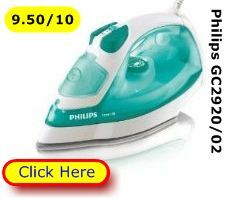 For that price you'll acquire an effective steam iron that smoothes wrinkles and clears creases easily. These are willing work horses to get you through your ironing chore quickly. * Overall Users’ Satisfaction Rating for effective ironing, ease of use and value for money. 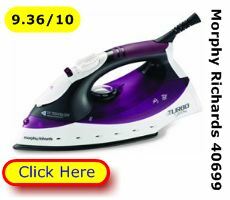 If you need a quick recommendation for the best buy irons look no further than our top 10 steam irons page. If you’d like to compare irons for their features and benefits we’ve got a completely updated, side-by-side comparison for you. 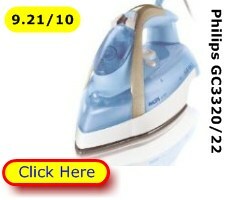 • How much steam do these irons produce? • How often do you need to refill the water tank? • What’s the manufacturer’s warranty? • And - how do existing owners rate their iron? 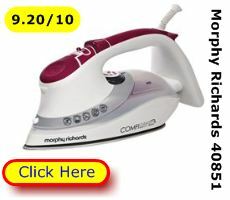 You’ll find the answers to these questions from the best buy steam irons survey here at the Compare irons page. Which are the best buy irons 2017? At Best Buys Compared we give you an in depth review of which irons are good for your money. You’ll find recommendations for the top user-ranked irons as well as the best value models around the £40 mark. Plus, of course, the reason why these are the best buy irons 2017. 1. A reasonable length power cord - so you can position the ironing board for your convenience & won’t have to drag or untangle the cable. 2. Cord freedom ensures the iron’s cord arches away from what you are ironing. The cord won’t snag or drag your arm. 3. Light weight means you can concentrate on smoothing wrinkles not pushing the iron. 4. 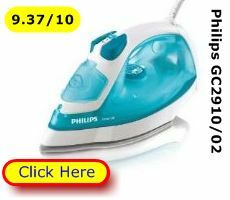 A sensible water tank will hold enough water to keep you ironing with steam for a good half hour before refilling. 5. A slippery ceramic coated sole-plate means less friction so your ironing chore is easier. 6. Produce steam on demand - or not. Steam is what makes ironing easier. It dampens and relaxes fabric making it easier to remove creasing and wrinkles. The more steam the better. But you also want the option of no steam and no drips. 7. A steam boost helps you smooth tough creases (or put a sharp crease into trousers). 8. Have a water spray. Sometimes you need to dampen bone dry fabric like canvas. 9. A lifetime, no-maintenance anti-lime-scale system (anti-calc). You don’t want to be faffing with filters and you do want the iron to use tap water. 10. A self-clean facility. You hold the iron over the sink and press a button. The iron produces pulses of steam and water. This flushes the sole-plate of any lime-scale. That means continued, efficient steaming and no white powder on your ironing. 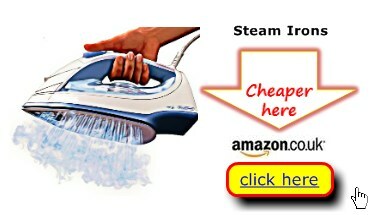 We say don’t buy the cheapest steam irons when you can buy the best steam irons cheaply. How does 50% off sound? You can pick up a top model for £35-£40. 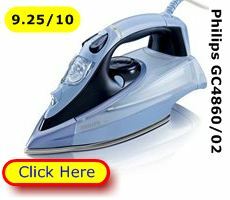 The Best Buy Steam Irons Survey offers practical answers to make your cash go further and help that ironing chore go more quickly and easily. 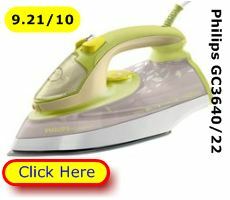 You deserve a crease busting, wrinkle smoothing and dependable steam iron. 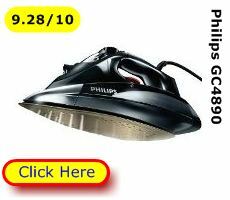 Find it here at our cheapest steam irons 2017 page.